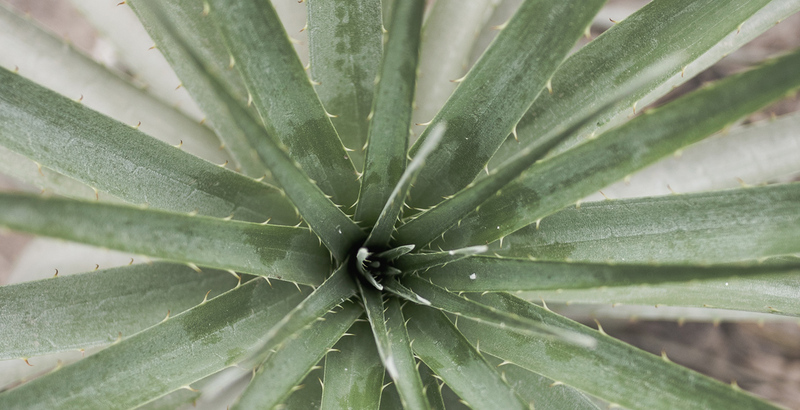 Originally from Africa, the Aloe Vera plant is also found widely throughout Central America and Southern Europe. It doesn’t like much water nor temperatures below 10 degrees Celsius which is why it grows most prevalently within these warmer climates. Both the juice and gel can be extracted from any part of the plant. It is hard to resist walking past one on a hot summers day and breaking open a leaf to make the most of the cooling aloe gel. Aloe Vera juice is mainly based on multi-tasking sugars, especially D-glucose and D-mannose. The other substances it contains in smaller quantities that together form its skin-restoring properties include phytosterols (campesterol and 3-sitosterol), vitamins, enzymes, oligoelements and essential amino acids. Aloe Vera has been used for thousands of years by ancient civilizations. Cleopatra, the first documented natural beauty lover in history, couldn’t get enough of Aloe Vera in her milk baths. Also other Egyptians believed that Aloe Vera located near the pharaohs tomb would help preserve the mummies. Romans used the gel as a scar healing balm for the wounds that soldiers suffered after combat whilst the Mayans used it to remedy headaches. Even in the Kama Sutra there is a mention of its aphrodisiac properties.